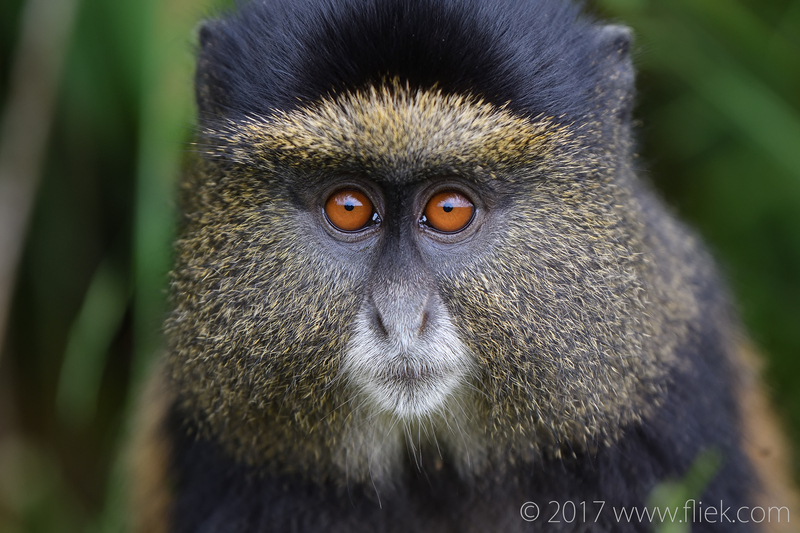 On my third day in Volcanoes National Park, Rwanda I went on a trek to see the ‘Golden Monkeys’. This time, it was with a slightly larger group of tourists. 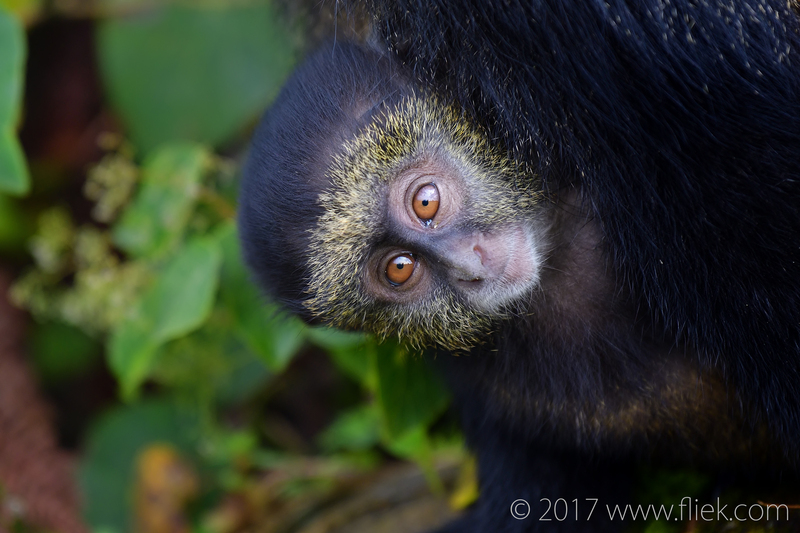 Again, the majority was equipped with their smart phones… which makes for even more difficult shots as these monkeys are a whole lot smaller than gorillas…! Nikon 70-200mm f/2.8E FL on Nikon D500, f/4, 1/1250 s., ISO 640, -0.7 exp. comp. 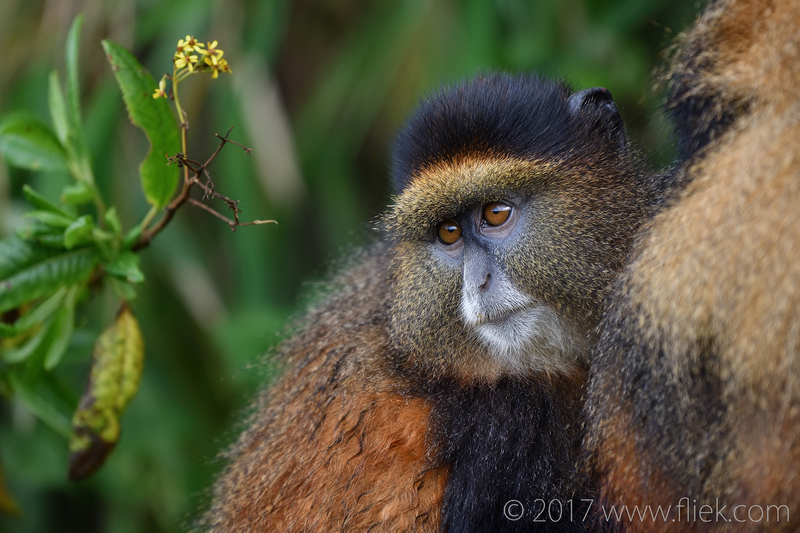 These monkeys are perhaps a bit of an anti-climax after having experienced mountain gorillas for two days. They’re obviously much smaller (largest ones are perhaps app. 50 cm. in height) and you don’t get the same ‘click’ you experience with gorillas (I even communicated with the silverbacks! – see my previous article). But they are cute little creatures nonetheless, jumping around the whole time playing and looking for food. Nikon 70-200mm f/2.8E FL on Nikon D500, f/2.8, 1/800 s., ISO 160, -0.7 exp. comp. Nikon 70-200mm f/2.8E FL on Nikon D500, f/2.8, 1/800 s., ISO 180, -0.7 exp. comp. Their appearance though, is quite extraordinary. Nature has decided to fit these little creatures with the most amazing colourful golden hairs on their faces, backs, and chest, while their arms, legs, and upper heads are covered in black. And what surprised me the most was how the images actually came out (or in) my D500 with the new 70-200mm f.2.8E FL zoom lens attached. For the first time I did not have to make any changes to the white balance of my images; it seemed the D500 nailed the colours perfectly. I had read before that the D500 and D5 have improved metering and white balance compared to the D4(S) and this seems to be correct, at least from my experience. Nikon 70-200mm f/2.8E FL on Nikon D500, f/2.8, 1/1250 s., ISO 400, -0.7 exp. comp. Shooting the D500 with the 70-200mm f/2.8E FL zoom lens at f/2.8 shows the beautiful bokeh this lens is able to produce. The D500 has a sweet shutter sound (i.e. 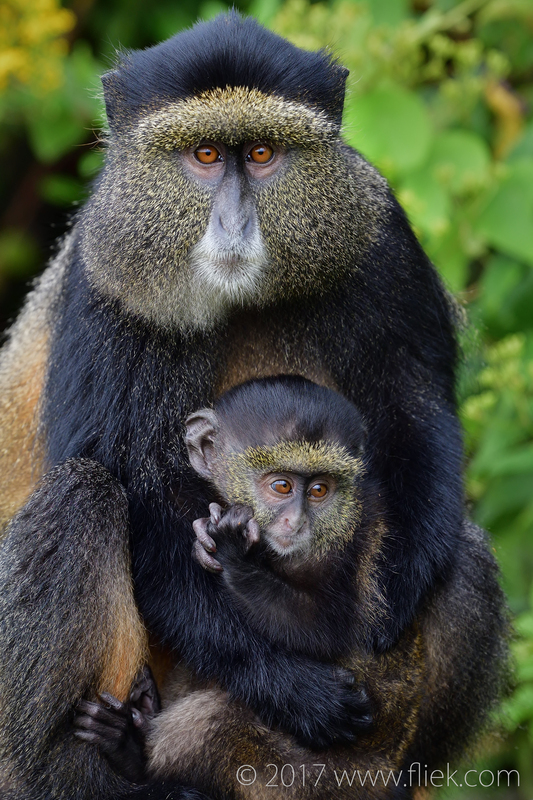 not loud) so the monkeys don’t get spooked by any loud clicks. Obviously, at f/2.8 and at up to 200mm the DOF is very thin, so you need to distance yourself carefully to get your required DOF. The other pleasure of this combo is the 21 megapixels spread out on a crop/DX-size sensor, which gives you lots of bandwidth to crop your image further if you need to during editing. And another benefit: the focus points are so spread out that you can easily keep your continuous autofocus on and select focus points on the far edges of your viewfinder. Perhaps not very often, but very handy when you need it. Nikon 70-200mm f/2.8E FL on Nikon D500, f/2.8, 1/800 s., ISO 140, -0.7 exp. comp. 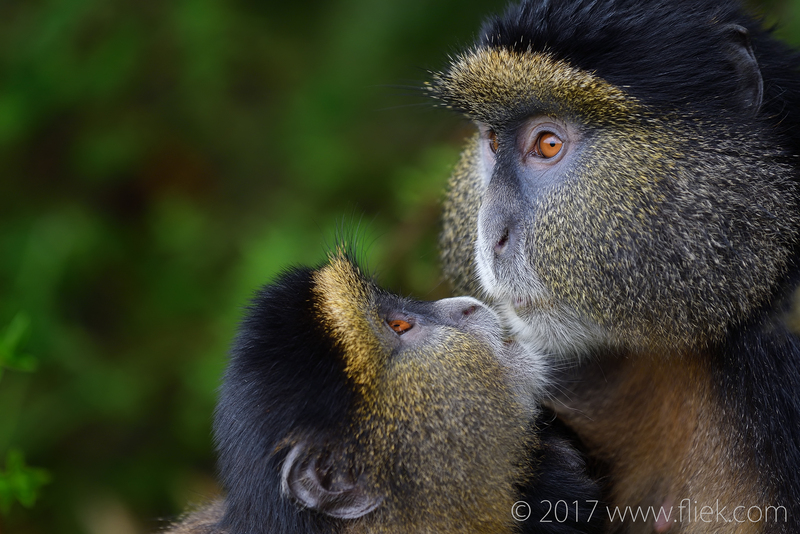 Getting close to the Golden Monkeys allowed me to get my first impressions of the D500, which exceeded my expectations by far. However I wasn’t always able to get near enough so I did switch to my D4S/600mm f/4E FL combo heavyweight every now and then. It was interesting to see the differences in the images shot with both combos. It was as if each combo has its own ‘soul’. I was really impressed with the D500/70-200mm combo but the D4S/600mm combo was still the winner, despite the challenges in having to adjust the white balance during editing (which is a real pain). More on those images in my next post! 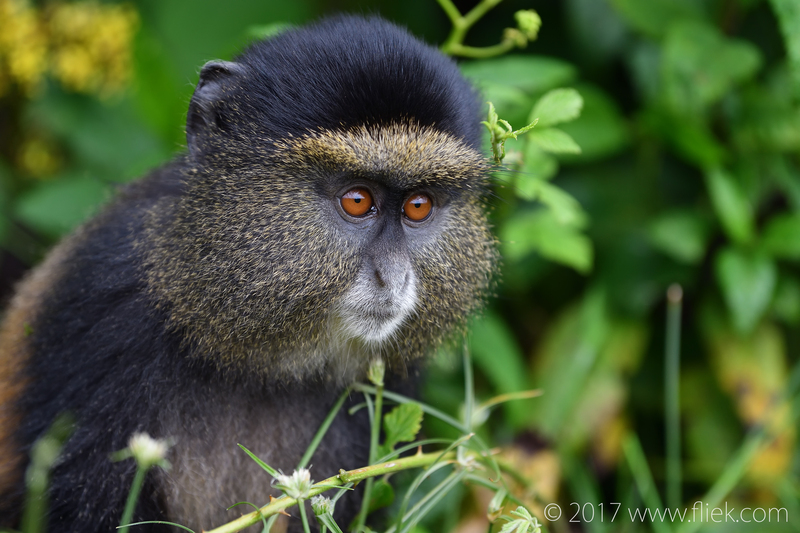 I am amazed by the quality of your (monkey) photos from Rwanda. I follow your blog post with a lot of interest. Can’t wait for the next! By the way: check out lenscore.org for a view on the quality of the D500!